Today guys, I’m very pleased to be posting up another album design – yep, albums coming thick and fast just now so much so that the DHL delivery guy will soon be on my Xmas card list :-). 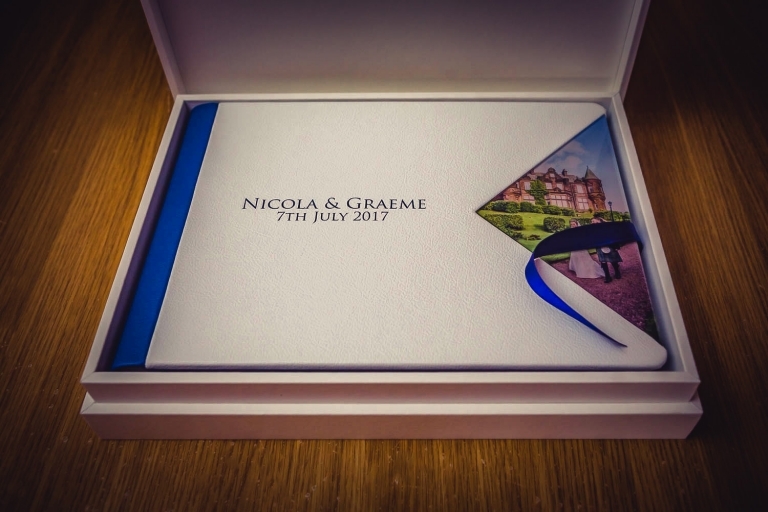 This time around, I have Nicola & Graeme’s album from their fabulous day at Sherbrooke Castle back in July last year. 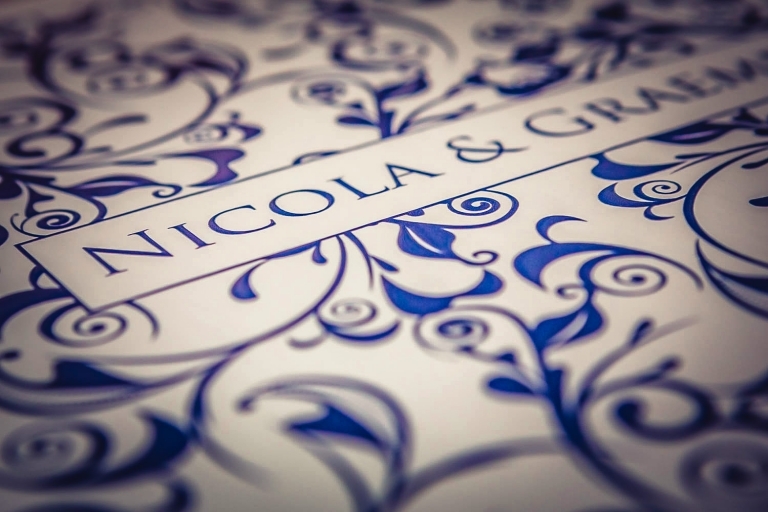 The guys chose the top of the line “Original Wedding Book” from my lab, Graphistudio. 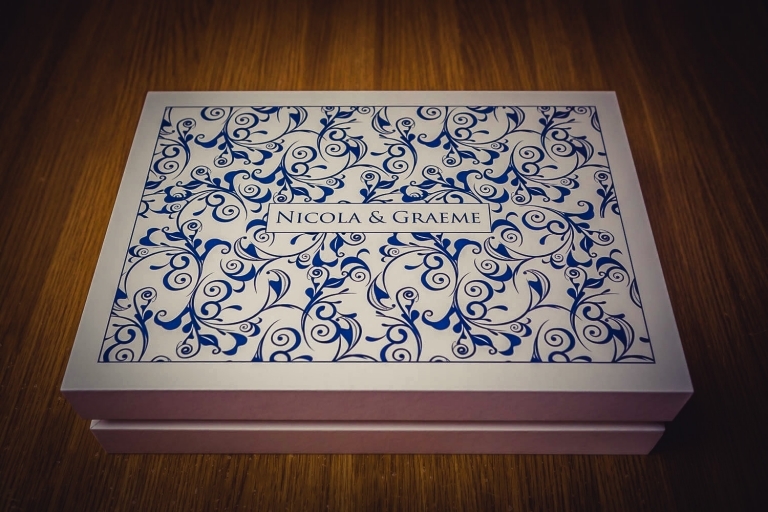 Both the album binding and box were finished in a white and ultrmarine blue leather design with the album cover itself in white leather with a “die cut” image to the side. The box was highlighted in my own scroll design in raised and varnished blue, and finally a blue ribbon to match.